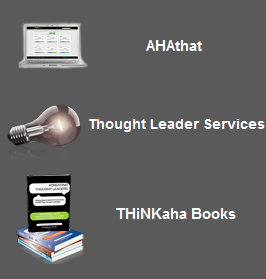 A Model of Servant Leadership | THiNKaha: Become a recognized expert in your field of expertise. Compelling thought leadership content. 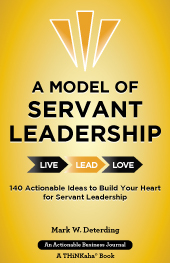 Discover the secret to becoming a great servant leader with A Model of Servant Leadership: 140 Actionable Ideas to Build Your Heart for Servant Leadership. Written by the Founder and CEO of Triune Leadership Services, LLC, A Model of Servant Leadership provides readers with the insights they need to become a leader of impact within their sphere of influence. Being a servant leader emulates from the heart and takes a great deal of intention in a few key areas of a person’s life. Servant leaders are intentional about building a solid foundation that consists of a clear purpose, vision, and values. Once the foundation is established, they focus on building energy, performance, relationships, and their own character. They recognize that their impact is one of advancing society and the greater good of others. After years of professional experience as a senior executive in the printing industry and working as an executive coach and servant leadership development consultant, Mark Deterding has built a solid model of servant leadership that is changing people’s lives and how they lead. But the truth is the principles are really timeless, coming from Jesus, the ultimate model of servant leadership. At a time when good leadership is so badly needed in all corners of our world, the 140 Actionable Ideas to Build Your Heart for Servant Leadership is out at just the right time! This book shares the necessary insights you need to become the servant leader that will inspire others to greatness and leave the world in a better place. By harnessing personal experiences alongside Deterding’s key insights, readers will be able to better understand the practices of a servant leader in both their personal and professional lives. It will prepare them for living a life of significance! A Model of Servant Leadership is part of the THiNKaha series, whose slim and handy books contain 140 well-thought-out AhaMessages. 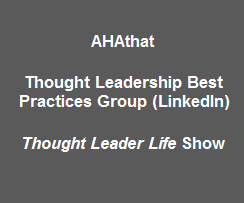 Increase your influence by picking up the Aha Amplifier to easily share Mark’s quotes on Twitter, Facebook, LinkedIn, and Google+. 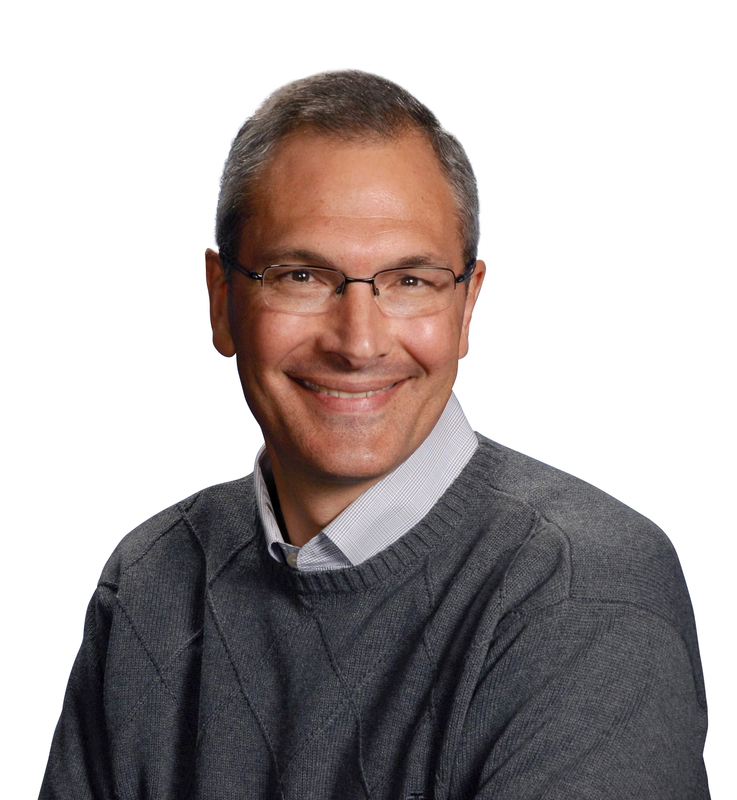 Mark Deterding is the founder and principal of Triune Leadership Services, LLC. In 2011, he formed Triune Leadership Services to follow his passion of working with leaders to help them develop core servant leadership capabilities that allow them to lead at a higher level and enable them to achieve their God-given potential. Prior to Triune Leadership Services, he worked for 35 years in the printing industry holding senior leadership positions at Taylor Corporation, RR Donnelly, and Banta Corporation. He is an accomplished executive with a proven track record for developing purpose-driven, values-based teams that drive culture improvement, enhance employee passion, and improve business results. He is featured in Ken Blanchard’s book “Leading at a Higher Level,” and he has been a featured speaker for the Ken Blanchard Companies Executive Forum in both 2007 and 2011. He regularly speaks to organizations and executive forums on the principles of servant leadership and how to practically apply it to their lives. As an executive coach and consultant, he specializes in working with high-performing professionals to develop their capabilities and achieve their objectives. Working with organizations, leadership teams, and executives one on one, he helps bring focus, clarity, and action to make things work. In addition to his duties at Triune Leadership Services, Mark also serves on the Board of Directors for the Unity Foundation in Alexandria, MN, for Mt. Carmel Ministries in Alexandria, MN, and NorthStar Christian Academy in Alexandria, MN. He is married to his wife Kim, and they have two sons, two lovely daughter-in-laws, and two wonderful grandchildren.